The Nature Effect Community Interest Company (CIC) is inspired by new thinking in science, the arts and social change movements worldwide. We believe in working for a radical shift in values, to counterbalance the current pressures within dominant global educational, political and economic systems that are creating unsustainable and unhealthy conditions for all life on earth. Our call is to influence as we can the values that underpin personal, professional and community development. We work with teachers, children, communities, organisations and individuals, using new and traditional tools that support transformation, learning from each other and from the natural systems that give us life and enable us to thrive. Our activities and projects are varied and resourceful. Our approach is experiential and integrated, using head, heart and hands; with attention to soil, soul and society, and ‘earth mindedness’. Our principles are based in social and ecological justice, inclusivity and intergenerational understanding. We are essentially hopeful about the possibility of transformation, greater connection to self, others, community and the wider ecological world. 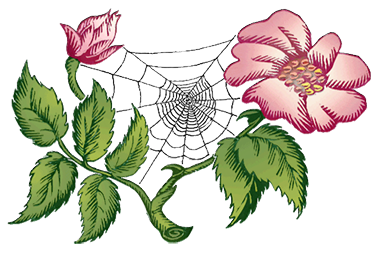 The wild rose and the spider’s web are part of nature’s beauty commonly found in our native gardens and hedgerows. Both have become embedded over thousands of years into our culture and heritage – in folklore, in medicine, in art. The rose represents beauty, vulnerability and resilience. It gives protection in hedges, and grows in all kinds of terrain. It supports wellbeing through its medicinal properties, is a potent nutrient as well as a perfume, and inspires poetry and art. 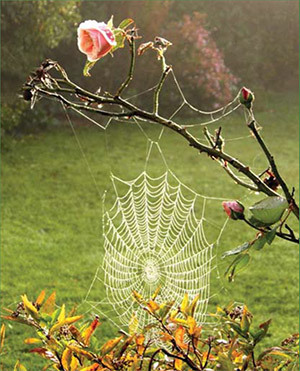 The web also represents beauty, vulnerability and resilience. It supports life and is a symbol of interconnection. It has inspired perhaps the most influential communication invention of recent times – the world wide web. Thanks to Hugh Dunford Wood for the logo design.